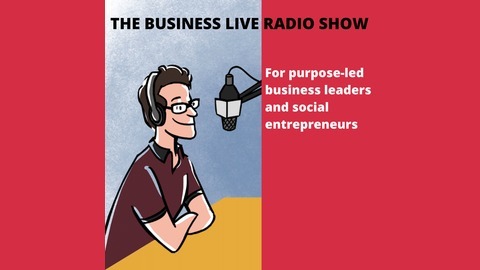 Every Friday Jamie Veitch interviews business leaders and social entrepreneurs for his live FM radio show broadcast on Sheffield Live and then available as a podcast. 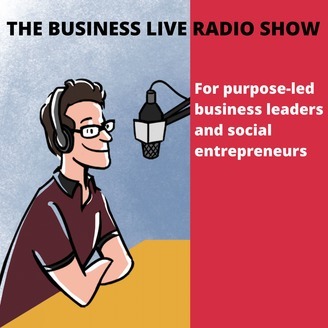 Hear guests' strategic and practical advice, learn how they overcame challenges, avoid the mistakes they wish they had swerved and implement tips to help your values-driven business to thrive. Combine board games with karate and what do you get? A solution to silly arguments about Monopoly? Nope. It's a brand new radio show featuring Ruth Haigh, co-owner of The Treehouse Board Game Café and Steve Hegarty of Elite Karate Centres. Turning a passion into a business, whether that's martial arts or board games. The Treehouse Board Game café opened in Sheffield 18 months ago and is a thriving hub where guests can "have fun sitting around a table together." You can choose from a menu of 500 games to play while enjoying delicious food and drink. Ruth left a career in data analysis for the civil service to launch the business with husband Andy. There's been an explosion in interest in board games in the UK and worldwide. A new generation of exciting, immersive games offers massive variety. Some involve co-operation, others are competitive, some are based on hidden role-play. Some are over in minutes; others take hours to enjoy. Ruth discusses the reasons behind the resurgence in interest and particular games which are perennial favourites - plus future plans for The Treehouse. Elite Karate Centres (EKC) was founded in 2000 by professional karate instructor Steve Hegarty. EKC teaches the Shukokai style of Karate to over 300 students from the age of 6, with no age limit. It has classes in locations around Sheffield and Rotherham. Steve originally started karate at the age of 6, returned to it aged 13 - inspired by a film which listeners of a certain age will remember well - and has been studying karate for over 30 years. He has been a member of the Shukokai Kumite Team, with successes at British and National Level. He covers how EKC has grown, especially over the last five years; his own continual development; his interest in other martial arts and how to choose a martial arts instructor, club or dojo for you or your family. 52:00 - 53:31 wrapping up. Check out The Treehouse Board Game Café and Elite Karate Centres online. Sheffield Live's website is here and my own website is here. Enjoyed the show? Please leave a review or rating on iTunes or Stitcher.